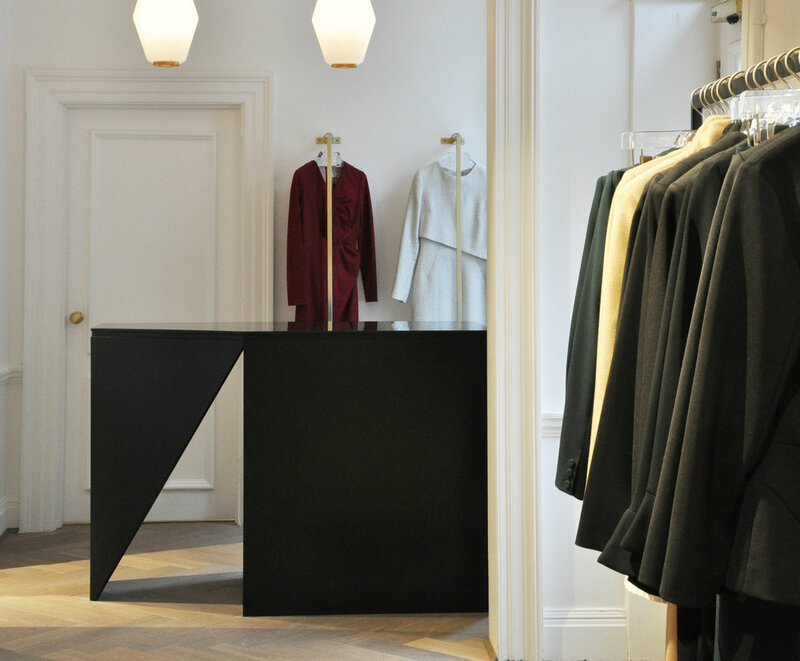 We're excited to announce that The Fold’s flagship store has opened at 28 Cadogan Place, London. The Fold is a contemporary new label that champions and inspires the modern, professional woman. Initially an online only brand, the new flagship offers The Fold another way to serve and connect with its loyal customer base. We worked with The Fold to create something that is much more than just a shop. The flagship is a true home for the brand; a hard-working, stylish and multi-functional space with the look and feel of a members’ club. We turned the idea of a ‘store’ on its head. The flagship does what the clothes do, taking the customer from 9am to 9pm. By day, the store serves as a shopping space and gallery, and transforms by night into an events space to host The Fold’s regular calendar of talks and networking events. The flagship embodies the spirit of the clothes, with clean contemporary lines and a strong sense of individuality. Throughout, our all female project team championed British, female-led design, sourcing bespoke materials and artworks from up-and-coming designer-makers. 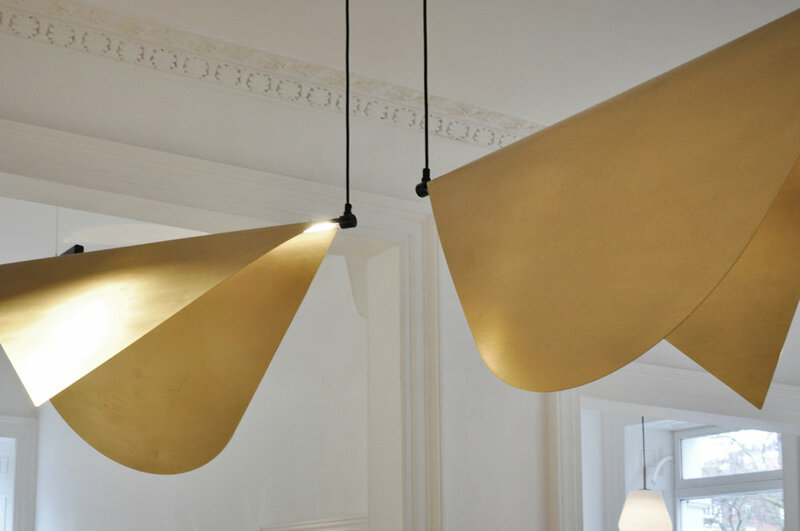 These appear alongside iconic designs and unique furniture and lighting designed by our team, such as the sculptural folded brass pendant lights and sideboard. More images to come – watch this space.